HONORABLE MENTION: Baldwinsville 4-1, Binghamton 3-2, Buffalo Timon-St. Jude-MMA 4-1, Carmel 4-1, Clarkstown North 4-1, Commack 3-1, Cicero-North Syracuse 3-2, Corning 4-1, Deer Park 4-0, East Meadow 3-2, Msgr Farrell-CHSFL 2-2, Fayetteville-Manlius 3-2, Freeport 3-2, Guilderland 4-1, Half Hollow Hills West 3-1, Jamestown 3-2, Kenmore West 4-1, Lancaster 4-1, MacArthur 3-1, Massapequa 3-2, Northport 3-1, North Babylon 3-1, Oceanside 4-0, Rush-Henrietta 3-2, Shenendehowa 2-3, South Shore-PSAL 5-0, Syosset 3-1, Utica Proctor 4-1, Valley 4-1, West Islip 4-0. 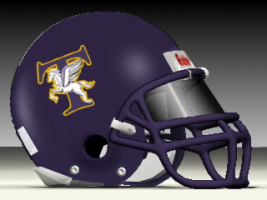 HONORABLE MENTION: Carey 2-2, Carthage 3-2, Christ the King-CHSFL 4-0, Eastridge 3-2, Glen Cove 3-1, John Glenn 4-0, Green Tech 4-1, Harborfields 2-2, Indian River 3-2, Jamaica-PSAL 5-0, Jamesville-DeWitt 4-1, Lawrence 2-2, Mount Sinai 4-1, North Tonawanda 4-1, Pearl River 4-1, Port Jervis 3-1, Rochester Wilson 3-2, Roosevelt-L.I. 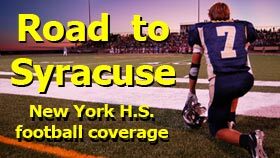 2-2, St. John Baptist-CHSFL 2-1 , Spencerport 3-2, Tappan Zee 4-1, Harry Truman-PSAL 5-0, Vestal 3-2, Wantagh 3-1, Yorktown 3-2.